I was sitting down talking with my daughter, who is 7, about my Rheumatoid Arthritis (RA) one afternoon. I was trying to explain to her how it makes me hurt and keeps me from doing things. I thought the conversation went well and she understood until one evening shortly after that when she was going to bed. She said in a very soft voice that she was sorry she made me go roller skating with her and that I fell breaking my wrist. She was sorry that it was her fault I got RA. What??!! I was having intermittent symptoms of RA in the Fall of 2012 and I wasn’t sure what it was. I was still waiting to get in with a Rheumatologist and my blood test came back negative for the RA Factor. Her elementary school has from time to time a skate night at the only skating rink left in our area where a portion of the proceeds go to the PTA. She had been wanting to go several times and on December 4th, I said “OK”. We went to the skating rink and I decided I would skate with them. I used to skate as a kid ALL the time and loved it. I figured that I had this. I put on my skates and began going around the rink, getting back in the groove of things and flashing back to my childhood years when all of a sudden, wham! My balance shifted ever so slightly and I was down on my rear end before I knew what hit me! I immediately popped back up and starting skating again, hoping that no one saw the huge wipeout I just took. Then it hit me – OUCH! My right wrist was THROBBING! I had pain shooting from my fingers all the way up to my shoulder and some tingling like my fingers were going number. I knew, as I was skating on around the rink, that I had really hurt myself. However, in true Mom fashion, I kept on going and helping my daughter along the wall. It wasn’t until the next day that I realized I was in real trouble and a week later it was confirmed, I broke my wrist and in a cast I went! Here I was, 40 years old, with my first broken bone EVER. Having to use my left hand for most things including typing and using the mouse at work put a lot of stress on my left side and after a few weeks of that, my left arm was in a complete flare. On December 26th, I was unable to go to work because I could not use my left arm or hand and my right one was still in the cast. I was fortunate enough to get in with the Rheumatologist on January 4th and the diagnosis was confirmed after the blood work came back that I indeed did have RA. Ever since that event of breaking my wrist, I have dealt with constant pain in several areas of my body almost daily and mostly in my hands and wrists. 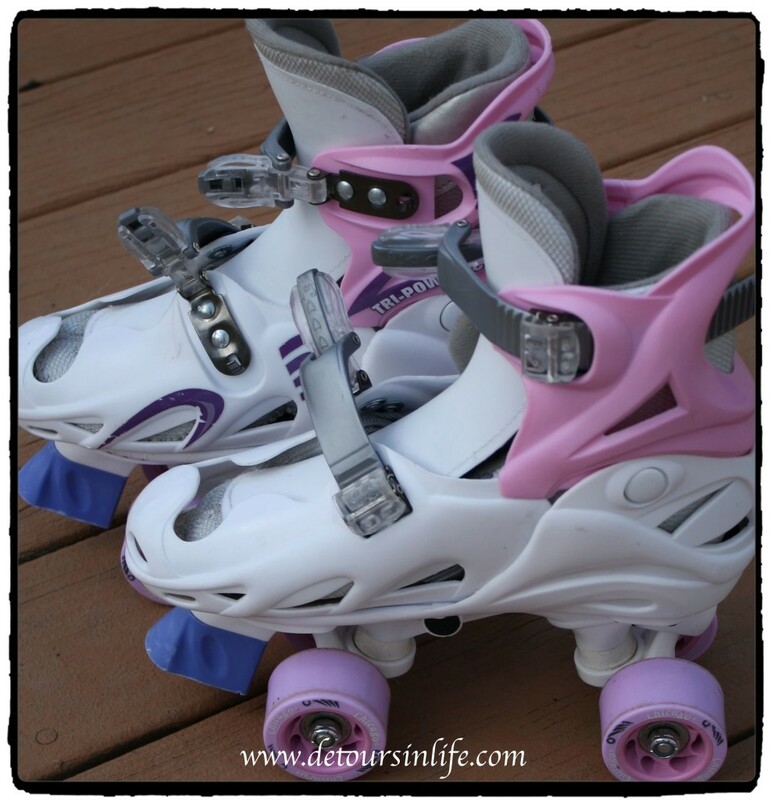 In typical kid fashion, my daughter saw my breaking my wrist roller skating as the start of my RA and blamed herself for it. I can’t imagine a kid carrying around that type of guilt for months. It has taken many conversations with her for her to fully understand that it wasn’t her fault. The breaking of my wrist didn’t give me RA, but the stress of it on my body did accelerate the process to where I was able to get a diagnosis. It broke my heart to think she blamed herself for my pain for so many months. I really should have talked to her sooner but I didn’t know how much she would understand of this crazy disease that even I don’t understand fully.